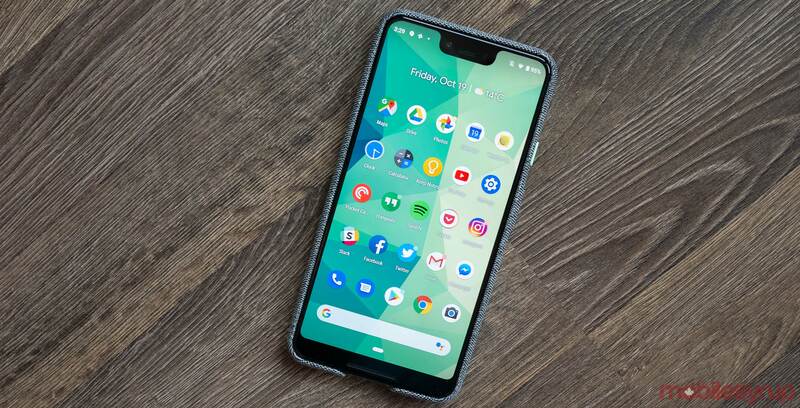 Google is working to improve support for dual SIMs in Android Q and Pixel devices, and it may enable dual SIM support in the upcoming Pixel 4. The information comes from an Android Open Source Project (AOSP) Gerrit commit spotted by XDA Developers. The AOSP Gerrit is an online collaboration tool where developers who can share code changes — called commits — and merge them into Android’s source code. For those unfamiliar with dual SIM support, it generally works in one of three ways. The first way is Dual SIM, Single Standby (DSSS), which allows a device to have two SIM cards but only the active card can receive calls and texts. This is how the Pixel 2 series and Pixel 3 series work, as both have a physical SIM slot and an eSIM slot. Users can connect both SIMs to a network, but they cannot be active at the same time. The second, Dual SIM, Dual Standby (DSDS), allows a phone to receive calls and texts from the secondary SIM as long as the phone isn’t actively using the primary SIM for the same purpose. Most Android phones that support multiple SIM cards, as well as the iPhone XS and XS Max, use DSDS. Finally, Dual Sim, Dual Active (DSDA) allows a phone to use both SIMs for calls, texts and data simultaneously. However, this is rare as it requires the device to have two radios. While all that means Android Q will better detect dual SIM in devices, a comment on the commit suggests DSDS will come to the Google Pixel 4. Specifically, the comment cites the implementation as necessary to differentiate the 2018 and 2019 Pixel — in other words, the Pixel 3 and Pixel 4. The former supports multiple SIM cards but not DSDS, but the comment implies the latter will support DSDS. Additionally, the comment says that developers are using the Pixel 3 to test DSDS functionality, which means the Pixel 3 can support DSDS. Unfortunately, before Pixel 3 owners get their hopes up about getting dual SIM support in a future update, the comment also mentions that some devices — like the Pixel 3 — will remain single SIM, even if they contain two SIM cards. Ultimately, adding and improving support for dual SIMs is a step forward for Android and the Pixel line. Unfortunately, older Pixel models likely won’t see this feature trickle down through software updates.